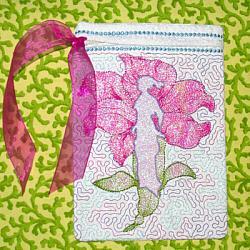 This design echos Autumn with endless variety! 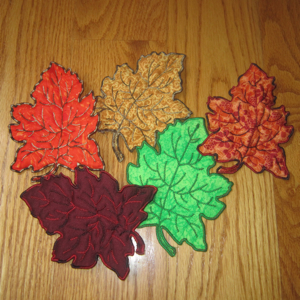 As an applique this leaf may be stitched in numerous ways to achieve a harvest of versatility!!! 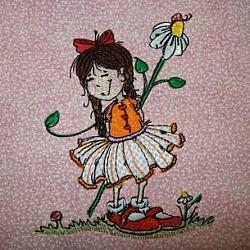 Stitch as a direct applique, a trapunto style applique (like stumpwork ~ but without the work!!!) 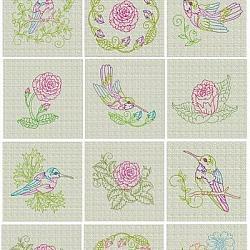 or stitch this beautiful original design as a free standing fabric applique. The choice is yours for endless variety either typically or dimensionally to create beautiful fall home accents. 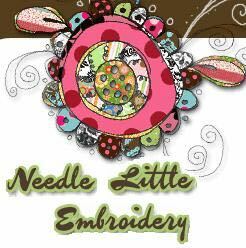 Use patterned fabrics (my favorite) or solids, along with contrasting thread & for even greater effect stitch using Fall tone variegated threads! 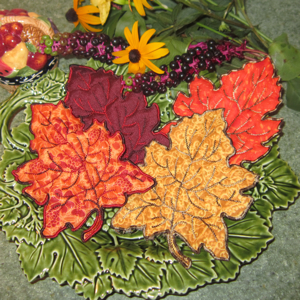 Including how to shape and crinkle your crispy Fall leaves as dimensional free standing decor!